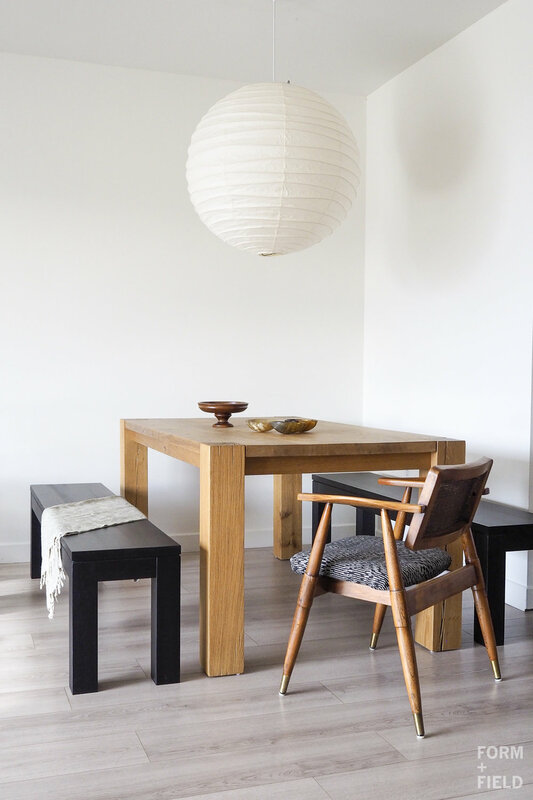 A condo in SOMA with modernist interiors designed by Form + Field, a San Francisco interior design firm. 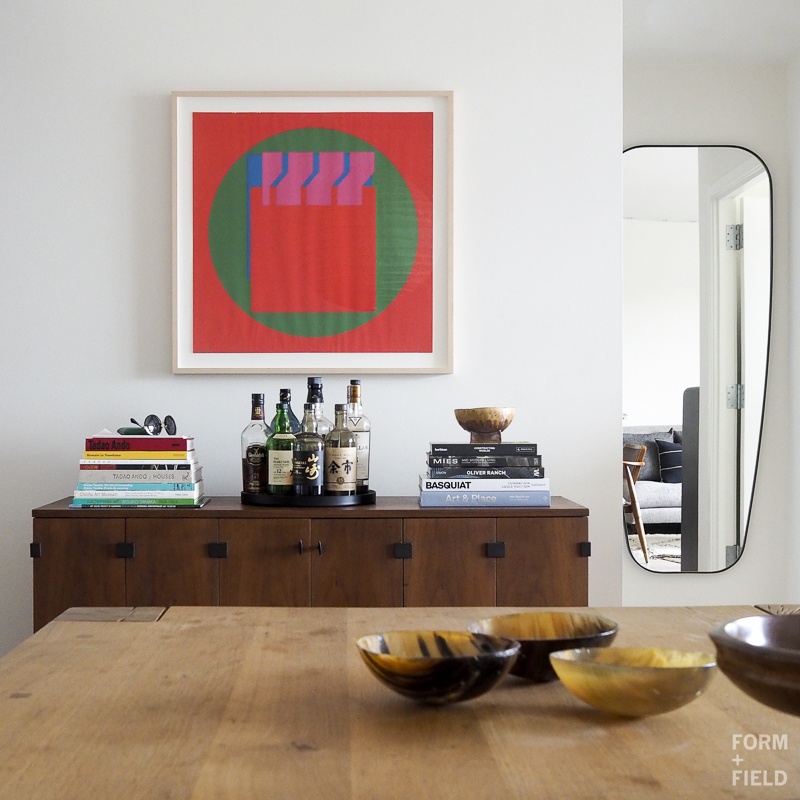 Form + Field's Christine Lin participated in the Spring 2018 One Room Challenge with her living and dining room makeover. The biggest challenge was reconciling her and her husband's individual furniture pieces into a cohesive aesthetic. A mix of vintage and iconic modernist pieces, and contemporary furnishings and decor created a calm, peaceful retreat in the midst of bustling SOMA.